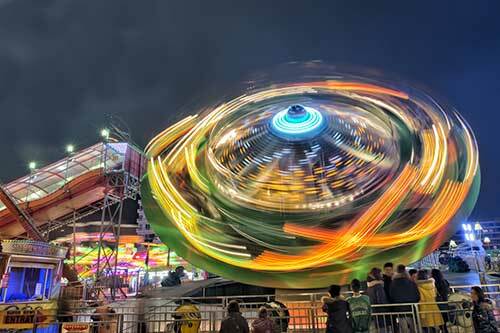 An amusement ride accident attorney can help you analyze and recover from your theme park accident. Amusement parks in the United States sell nearly 300 million entrance tickets annually. Children are the biggest victims. Between 1990 and 2000, about 82,000 children went to emergency rooms after experiencing injuries from an accident at an amusement park. Another 11,000 had an injury from a ride outside amusement parks, like at malls, restaurants, and arcades. Girls suffer more theme park accidents than boys, and of the reported emergency room visits for theme park accidents that were categorized per type of theme park, 54% were from permanent parks, and 46% were from temporary parks (like a carnival or fair). The most common injuries from theme park accidents are to the head, neck, arms, face, and legs. Most often the injuries were from improper restraints or padding, or from the child falling in, on, off, or against the ride. Theme park injuries are as varied as the them park rides. They range from swallowing too much water on a river ride, drowning, boat collisions on ferry rides, falls while exiting vehicles, fires on rides, faulty equipment on rides, and being attacked by an alligator. In August 1980, a camera and a Frontierland candle fell from Space Mountain and hit a man in the roller coaster below. His left arm was paralyzed and he suffered short-term memory loss. In November 2000, a man was exiting Splash Mountain while his vehicle was still moving. The log vehicle behind his struck him and he died later at the hospital. In June 2008, a mechanism failure on the Simpsons Ride at Universal Studios Orlando resulted in all of the passengers being sprayed with vegetable oil. There were not reported injuries, and Universal Studios allowed its guests to shower and gave them a change of clothes. In March 2010, a four-year-old boy at the Cosmic Ray's Starlight Cafe at Disneyworld took his nachos to a table, sat down on an unstable chair, and reached for the table to catch himself from falling. Instead, he grabbed the tray, which fell on him, causing severe burns to his face and neck. Not all injuries from theme park rides qualify for compensation. An amusement ride accident attorney should review the facts of your case to make that determination as roller coaster accident cases and other theme park ride injuries could result from a defective product, inadequate security, direct negligence, or premises liability. 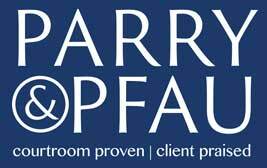 At Parry & Pfau, we are familiar with the law applicable to roller coaster accident cases and would be happy to analyze your case for free.